Uppppdateee! Nice! Time to test! I adore this game! Ich kann den Patch nicht runterladen. We could not find this key. If this is something you already purchased, please use the Order Resender to find your key. We received a request to resend your Humble Bundle orders. our order resender page. Otherwise, please email and our support staff will sort things out as soon as possible. If you did not initiate this request, please disregard this message. Bei mir funktioniert der download…du bist sicher, das du richtige e-mail Adresse verwendest? ich habe den alten key nicht mehr. wie soll ich nun das update ziehen ? google humblebundle und gehe dort zum support. dort gibst du deine e-mail ein und die senden dir direkt den updatelink zu. Meinst du den Humble Order Resender? 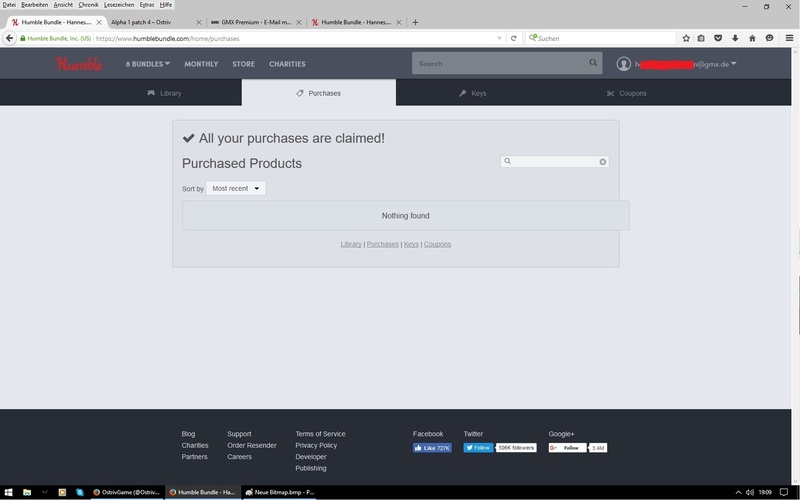 Humblebundle.com > Your Account > Purchased > Unclaimed > Claim. Ja, ich habe eine E-Mail Adresse angeben. Man erstellt aber damit nicht automatisch einen Account. Ich habe jetzt 2 Humblebundle Acc erstellt, mit E-Mail Adressen, die ich regelmäßig nutze. Natürlich als erstes, mit der an die mir der Download-Link gesendet wurde. Wenn ich jetzt mit geänderter Groß und Kleinschreibung versuche nen weiteren Acc zu erstellen, sagt er mir, dass die Angegebene E-Mail schon genutzt wird. Da die Acc heute erst erstellt wurden, finde ich dementsprechend kein Spiel, das ich vor zwei Wochen gekauft habe. Hab ich schon gemacht. Aber bislang haben die mir nicht geantwortet und das wird auch mit sicherheit dauern, da ich denen nicht auf Englisch schreiben kann und die somit meine Mail erst einmal übersetzten müssen. it does show up in my humble bundle acct. It is a bit wired, that citizens produce food and other goods, which are appropriated by faceless government/corporation/deity/king (whoever the player is supposed to be) in exchange for wages which are only a fraction of goods’ value. And then they go to the market, to buy those very goods which they just have produced. It is as if all citizenens are employees of the Town, rather than independant peasants/artisans living mostly from own natural production and friendly relationships with neighbors and only partially from external markets. Its more like a communistic form of government. The Town owns everything and the people work for wages to buy things from the town to live. Still it is interesting to imagine how one would experience living in this fictional world. This is basically what FilmTheorist from youtube sometimes does. The thing is that the villagers have to keep moving out because the people always run out of money. So you always have money appearing into the village with people moving in. Its kinda flawed to be honest. Do villages always run out of money in the game no matter what you do? An interesting twist, I never played that far into the game. I tend to think the opposite. The fictitious world is what you complainers keep trying to ram down our throats. We really don’t care how you see this world or if your government is corrupt. I prefer to live in the generally accepted world where everything isn’t a conspiracy around every corner and there are “secret” organisations out to get us. I’ve never met a happy serial conspiracist, so I prefer to accept things as I see them, not how some banner waving, professional protest rally wannabee tells me to see it. Being alive should be fun, there’s plenty of time when it ends to worry about the state of the Nation.. If you want to download the new patch go to Humblebundle.com > Your Account > Purchased > Unclaimed > Claim. You now can download the new Patch. my game still crashes after the new patch what can I do play the game I have sent the 2 files to the dev. I can not imagine that I’m the only one who can not load the patch? Since I did not have a Humble Bundle Account when I bought the game, my key is no longer valid. Which is why I can not download this and future patches. I hadn’t had a Humble Bundle Account either, that isn’t necessary. Have you got e-mail like “Your Ostriv Alpha 1 … order is ready”? The link there must still work to get new versions. If you saved the original email you can just download from there. are there any forums where i can ask questions about this game? After I download patch 4 I still have same problem : can’t play game. When I start the game menu appears, but after few seconds game is frozen, menu disappears and I got message “Ostriv.exe stop working”. Can anyone help me? Check the other Ostriv forum where you posted this problem. I’m still new to this game and so far I love it! 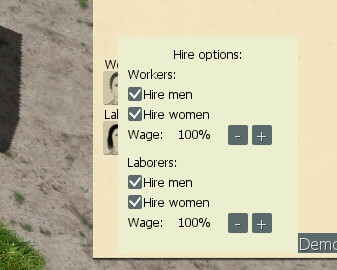 I have been searching for Banished 2.0 and this feels like it could become it! Not to stress you, but any news on when the 1.5 patch will be released? Is there anything besides sending .sav on crashes and cities over 100 population you need help with? Are you planning on doing something about the misleading division of labour between the sexes? I have worked together with women in both forestry (manual with chainsaw) and in construction and the ability to work has very little to do with gender, more with physics and attitude. Besides this, many thanks for a great game! And as mentioned above, if there is anything besides the mentioned you need a hand with I’m guessing there are many who are willing to help you and this game further! Well it’s me again! I have been thinking. As the carts are an important part of this game I have an idea. If everyone can pull a cart but with different load sizes? Another thing I have been thinking about, would it be possible to move for example a farm? Otherwise you have to destroy one to then build another. If you could move it, with less cost? It feels like I’m a jerk that do nothing but complain and I want to emphasize that the game looks great and you have done an incredible job so far! cant download this 🙁 empty zip file im getting. Gee. 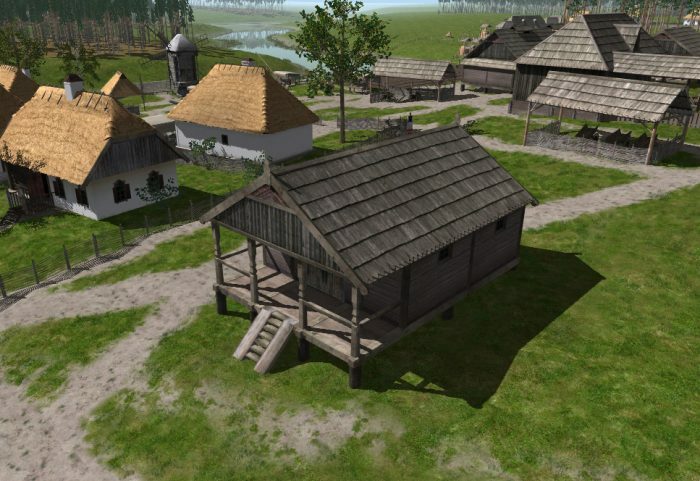 it’s been a long dry spell in Ostriv, I get the feeling our Dev has moved to another village 🙂 Only joking, has anyone heard any word on an update. I’ve been hanging out for news, but nothing. I hope he’s OK and hasn’t gone mad from all the bugs we’ve found. Actually my time in Ostriv has been relatively free of any major hiccups, or minor hics if it comes to that. I have to admit I don’t visit the village as much as I did, it does tend to get a little boring when you can only get so far before it refuses to go any further. I’ll have to keep waiting. He posted on Discord the first week of this month saying he’s been working hard and should be posting an update in the near future. He hasn’t given up on us. 🙂 It’s hard I know, but if we can manage to have a bit more patience, we should be enjoying the next update before we know it. Hello. I’m from Korea, my Ukrainian friend recommend this game to me. and I want to play this game.